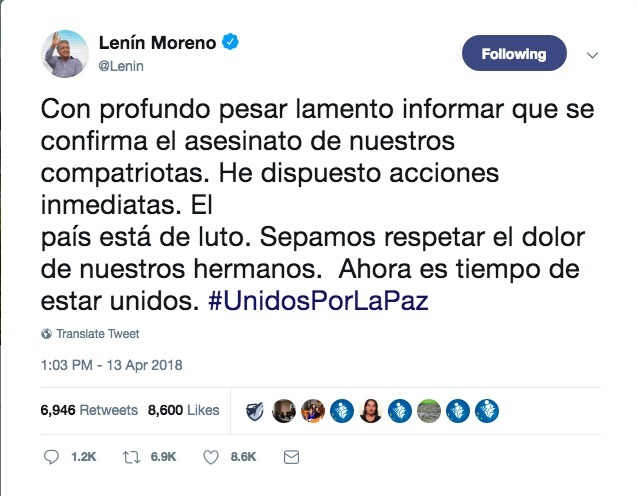 The kidnapping and murder of a reporter, photographer and driver working for Ecuador’s El Comercio newspaper is blamed on an armed Colombian guerilla group called the Oliver Sinisterra Front. This timeline details milestones in the conflict between these guerillas and the Colombian and Ecuadorian authorities. 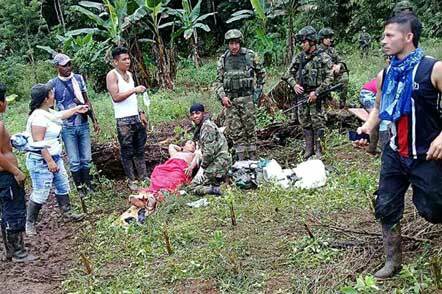 During a protest against the eradication of illegal coca crops, eight peasants are killed in a confrontation with police and the Colombian army. A patrol of the Special Mobile Anti-Drug Group (GEMA) is attacked with grenades in San Lorenzo, a town in the Esmeraldas Province. No one is injured. The incident is attributed to Guacho’s Oliver Sinisterra Front. Three members of the Oliver Sinisterra Front are arrested in Esmeraldas and accused of arms trafficking. They are Patrocinio C. P. (aka Cuco), James C. A. and Diego T. V. These are the men Guacho later seeks to free in exchange for the kidnapped El Comercio journalists. 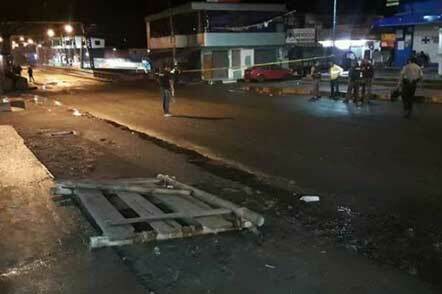 An early morning car bomb explodes in San Lorenzo near the town police station; 28 people were injured. 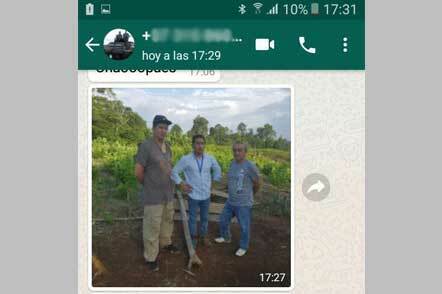 Police Major Alejandro Zaldumbide receives messages from the former FARC rebels. They later use the channel to threaten attacks and call for an end to law enforcement operations against them. Police and soldiers raid houses in Mataje, Ricaurte and San Lorenzo in the province of Esmeraldas. Five people are arrested and linked to Guacho. 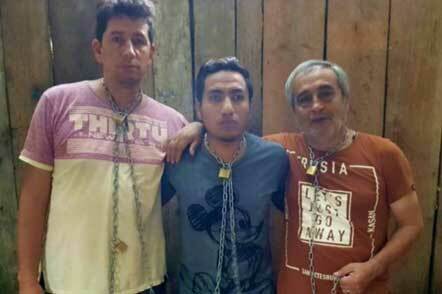 El Comercio newspaper reporter Javier Ortega, photographer Paúl Rivas and driver Efraín Segarra are kidnapped.The Oliver Sinisterra Front sends photos of the men to Ecuadorian Police Major Alejandro Zaldumbide as proof they have taken them hostage. El Tiempo publishes a story citing military sources saying the journalists are free. The story proves to be wrong. 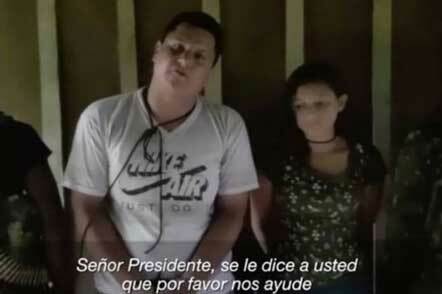 A Colombian media outlet publishes video sent by the kidnappers. In it, Ortega says they are asking to exchange the journalists for three of Guacho’s men held in a penitentiary near Quito, Ecuador. The hostage takers also demand that Ecuador stop cooperating with Colombia in the fight against drug trafficking. 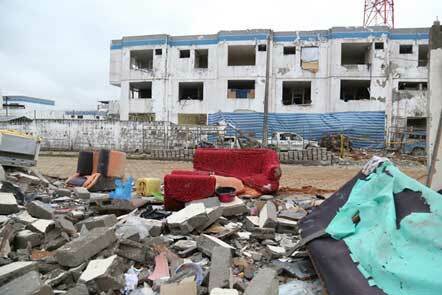 A bomb goes off on a bridge in Viche, a town in Quinindé Province. No one is injured. Nine people are arrested and charged with terrorism. 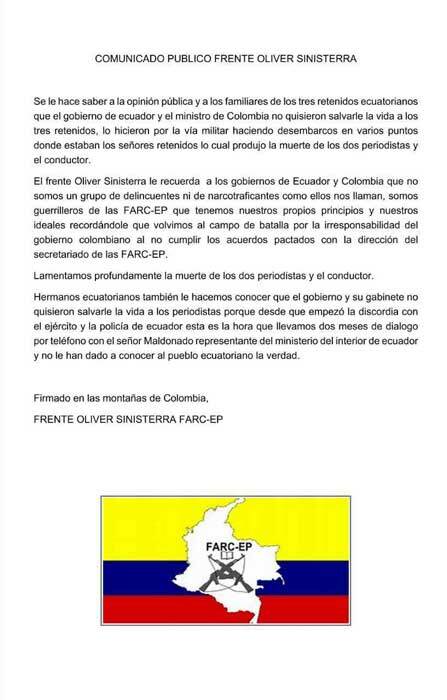 A statement attributed to the Oliver Sinisterra Front asserts that the El Comercio journalists are dead. 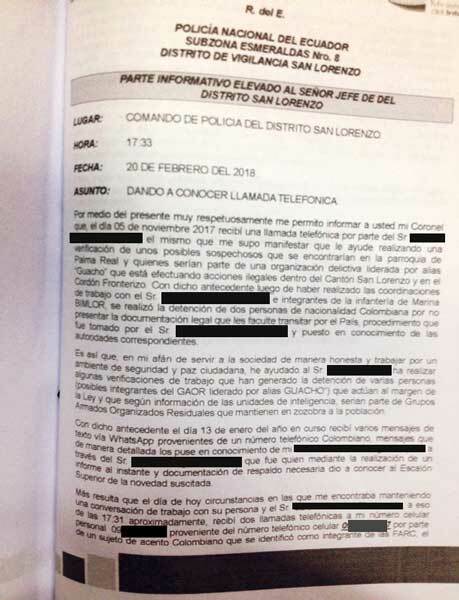 Colombian journalists receive photographs of the corpses of El Comercio staff. The images are turned over to Ecuadorian authorities. 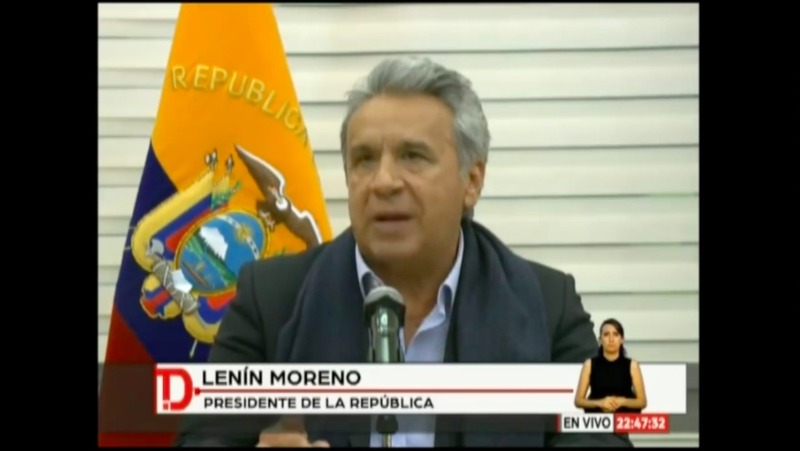 Ecuadorian President Lenin Moreno confirms that the journalists have been murdered and announces operations that result in nine arrests. The Ecuadorian government says it has received a new video in which Ecuadorians Óscar Villacís and Katty Velasco appear. They have also apparently been kidnapped by the Oliver Sinisterra Front. 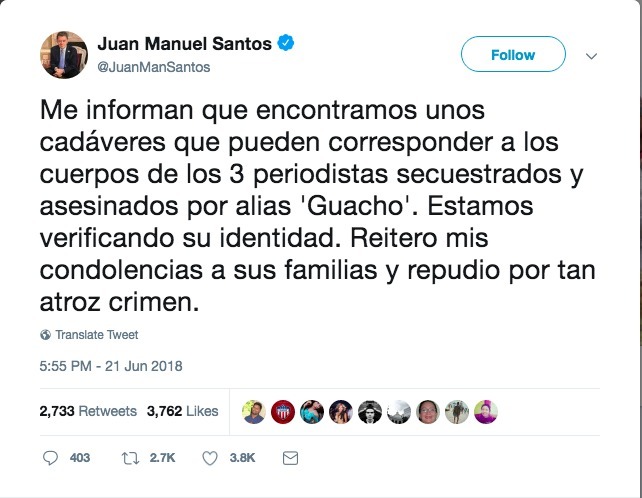 Juan Manuel Santos, then president of Colombia, announces via Twitter that bodies have been found and may be the men from El Comercio. Colombian authorities confirm that three of the recently discovered bodies are those of reporter Javier Ortega, photographer Paúl Rivas and driver Efraín Segarra. Colombian authorities confirm the discovery of two more bodies believed to be Villacís and Velasco. Experts later determined that they had been tortured before their murder.